There is a contradiction at the heart of narrative film representations of the suburbs. The films that are most often remembered as being “about” the suburbs are typically critiques of the landscape, driven by cynicism and a sense of superiority. However, many other, usually more popular, films are set in the suburbs; these are typically cheery family comedies and uplifting coming-of-age stories. 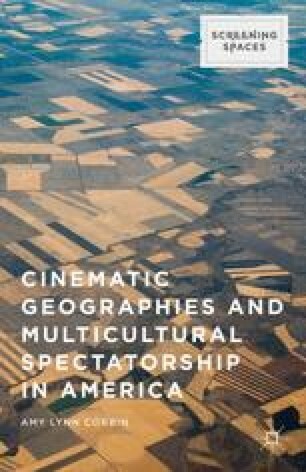 These films do not explicitly take the suburbs as their subject, but rather use the setting as a mere backdrop for character and narrative development.1 In their survey of suburban films, Muzzio and Halper distinguish between movies that are suburban-centered (narratively or thematically they are about the suburbs) and those that are suburban-set (in which setting does not appear crucial to the plot; the movie could have been made elsewhere).2 Suburban-centered films are almost always characterized by sarcastic critique, while suburban-set films by affectionate idealization—as if to suggest that to openly acknowledge the defining qualities of suburbia is to expose them to ridicule and disdain.